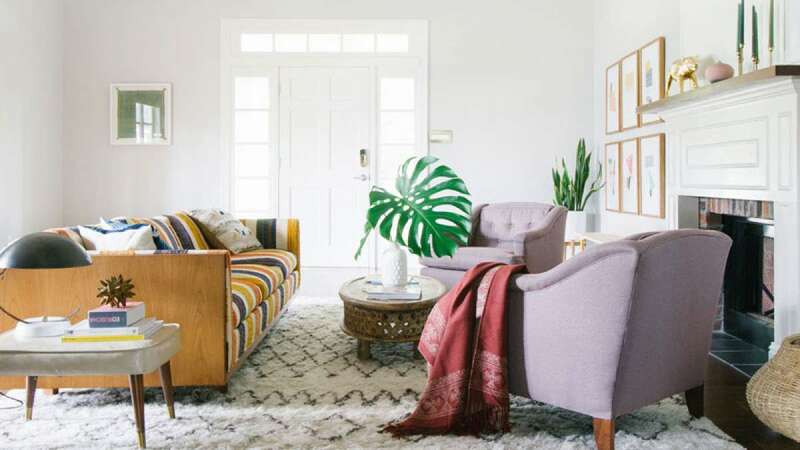 New Delhi : Windows, lights, photography prints and carpets can lend a cozy look to your living room, suggest experts. * Large unappealing windows and flat reflective walls are always considered to be cold, bland and agoraphobic to some extent. The thought of dressing up windows and walls to make a space look smaller and more private, give people a sense of security that they are not watched by the outside world. * Warm and accenting lights were thought to be dramatic and created a mystery which invoked curiosity in the minds of visitors and tenants, by highlighting only certain areas. * Consider a balcony which is part of an exterior space. Having tall plants will create a sense of cosiness in the subconscious. This fact also applies to interiors as well, for example the way canopies; poster beds, cocoon chairs and tall plants create a protective layer. * Throw blankets, throw pillows, plush furnishings and carpets are all comforting to the body both physically and psychologically. The same thing goes to having a burning fireplace which emits heat and light and controls the climate for comfort. * Vintage botanical drawings and giant photography prints can personalise your space to a great extent. It's gorgeous, a beautiful way to boost your own home style. They provide a great way to upgrade a floor rug to the wall as a piece of art. * With a conscious drive towards embracing a peaceful retreat from the crazy fast-paced modern lifestyle, sustainable and natural fabrics is emerging as a potential micro trend. You could even opt create a broader conversations by putting together your space with a jute carpet. * The vintage brass/gold metallic frames on the earthy walls with old black/white photography bring in warmth, memories along with glamour and opulence. * It continues to bring in a greener footprint inside the living spaces. Plants are an inexpensive way to add instant colour and glamour to home interiors. Mint strikes a balance between our desire for wellness but also for new and exciting technology. A transition to a more conscious living is reflected in green and earth interiors. * The recently acquired ethnic motif during your last travel to your favourite destination could turn your home bolster into a stunning piece of conversation. You could make your decorative choices of craft more prominent and noticed by inspiring your friends/family.